In the 1980s the world sat up and took notice of AIDS spreading through groups across the world – quickly identified by scientists as caused by the human immunodeficiency virus (HIV). What happened in this decade in response to the growing epidemic was a collective movement across society. Activism driven by community groups, as well as the bravery of high-profile individuals to speak out, eventually triggered a wake-up call to governments across the world. That with funding, awareness and trust in research to deliver, the answers would come. And they did. Since the first treatment against the HIV virus went into clinical trials in people in 1986, researchers have been developing new and more effective treatments. Fast-forward twenty years and, although there is still work to be done around awareness and prevention, an HIV positive person who receives treatment today can expect to live as long as someone without the virus. A thought that would have seemed inconceivable two decades earlier. Thanks to reducing stigma and societal pressure on policy makers for sustained and coordinated funding, we’re seeing the same success stories starting to emerge with cancer. A more complex medical nut to crack, it was back in 1971 when President Nixon declared a ‘War on Cancer’ and ramped up research funding into this set of diseases. Since then medical research has made strides in deciphering the biology of cancer and using this knowledge to develop better diagnostics, interventions and to drive large-scale drug discovery efforts for new treatments. While the job is by no means done, there are now over 100 different drugs used to treat cancer, and overall ten-year cancer survival rates have doubled in the last 40 years. A search of current clinical trials for Alzheimer’s brings up only 185 active studies worldwide, compared to 9,183 for cancer. While we clearly still have a way to go, there are many reasons to be positive. With 44m people across the world living with dementia, the condition is fast becoming the health crisis of our generation. However, in recent years we’ve seen stigma around dementia lifting and public figures such as the late Sir Terry Pratchett calling openly for more funding. In 2012, the Obama Administration launched a ‘War on Alzheimer’s’, followed swiftly by David Cameron’s Dementia Challenge in the UK. Since then UK government investment in research has doubled to £66m a year, and our own income has grown an incredible 20% over the past year thanks to the generosity of our supporters. So how do we capitalise on this progress and generate the activation energy we need to power real change? Alzheimer’s Research UK is the world’s largest dedicated dementia research charity and we have a blueprint that will take us in the footsteps of HIV and cancer. We’ve identified barriers to progress, and are forging partnerships across the world to break these down one by one. For research to succeed, we must drive innovative science in academic labs across the UK and beyond. By partnering with global research funders such as the US Alzheimer’s Association and co-leading the International Alzheimer’s Disease Research Funder Consortium, we’re ideally placed to ensure our research is coordinated with efforts across the world. This work includes our pioneering Stem Cell Research Centre in Cambridge, as well as the Alzheimer’s Research UK DNA Bank – one of the largest collections of Alzheimer’s DNA samples in the world. There are still key unanswered questions to tackle – How do nerve cells die in Alzheimer’s? What triggers the disease to start? Can we prevent or delay dementia? We are setting researchers across the globe the challenge of finding the answers and arming them with more resources than ever to get the job done. As we learn more about the biology of the diseases that cause dementia, one of the newest challenges we face is how to translate this knowledge into meaningful improvements for the lives of people with dementia. To do this, we’re spearheading ambitious initiatives such as our Dementia Consortium, Drug Discovery Alliance and Global Clinical Trials Fund. We’ll be investing in both experimental and existing drug approaches as well as non-pharmaceutical interventions to improve lives. We’re working with regulators and the pharmaceutical industry to ensure the wheels are in motion to allow us to deliver effective treatments and better diagnostics, when researchers can put them in our hands. As well as enabling world-class drug discovery, we’re looking at preventions and how we can boost this area of research to gain more clues into how we could reduce our risk. Pioneering scientific research is about ideas, but it’s also about people. There would be no Theory of Relativity without Einstein and no structure of DNA without Watson, Crick, Franklin and Wilkins. We have a unique Research Network in the UK of over 700 scientists, with expert advisors and reviewers from around the globe. By investing in their innovative ideas, we’re supporting the next generation of dementia researchers. We’re also helping more people than ever take part in research through our involvement in Join Dementia Research. In the past, research studies haven’t been able to get off the ground due to lack of willing participants, but we’re changing that. Over 6,000 of you have now signed up to volunteer for research studies and almost 40 pioneering studies are currently benefitting. We are leading the fight to defeat dementia and your support can take us there sooner. Simon joined Alzheimer's Research UK in January 2009. As Head of Research he is responsible for the delivery of funding programmes. Simon follows new developments in dementia research and is a regular media spokesperson on research matters. 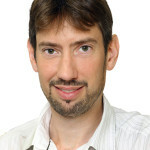 Simon has extensive experience as a researcher and has worked in industry. He studied biochemistry at Trinity College Dublin and obtained his PhD from Cambridge University. Perhaps a better strategy would be to fund the not so bright people who at least look in the right direction, to find the cause and cure of the disease. I recently sent a detailed proposal to Dr Rick Livesy, at your Stem Cell Centre–with detailed experimental protocols for creating a disease-in-a-dish model of non-genetic AD, using liposomes to deliver refined vegetable oil to the culture. I also suggested testing the anti-ageing agent myo-inositol, which has cured a case in my care [for 30 months so far]. I had no reply from him. Prior to a cure being discovered a stop-gap solution exists for the detection of the possibility of contracting Alzheimer’s disease in later life. Early indication gives an opportunity to seek medical advice and take precautionary measures long before mental debilitation. By the adoption of a proven modus operandi, used worldwide to resolve another medical disability, early detection of the likelihood of contracting Alzheimer’s disease in later life can be sooner rather than when it is too late. Excellent explanation and caution on Breakfast this am.